It has taken almost 10 years for the ECB’s controversial government bond purchases to finally reach the European Court of Justice (ECJ) to be reviewed as to their constitutionality. There have always been serious questions whether the PSPP (Public Sector Purchase Program) was compatible with the ban on monetary budgetary funding that has been imposed upon member states. Italy, for example, asked for an exemption from the budgetary constraints to take care of the refugees, The EU Commission said absolutely no! The German high court has been hearing a case that proposes it rule that financing government budgets would not be covered by the mandate of the European Central Bank (ECB). That has long been a thorn in the side of Draghi that he was acting unconstitutional at the end of the day. The ECJ has been requested to expedite the procedure, because “the case requires a quick settlement” after almost 10 years? The background of the case is three constitutional arguments are fairly straight forward against the PSPP. The ECJ has not answered these issues which has been preventing the German court from finally decide the constitutional complaints. The argument claims that the European System of Central Banks, with the program for the purchase of securities of the public sector which it has set up, is contrary to the prohibition of monetary government financing (Article 123 TFEU) and the principle of limited individual authorization (Article 5 1 TEU in conjunction with Art. 119, 127 et seq. TFEU).Therefore, the Deutsche Bundesbank should not participate in this program and the German Bundestag and the Federal Government are obliged to take appropriate measures against the program. The plaintiffs in Germany wanted the Bundesverfassungsgericht to stop the Bundesbank’s participation in the ECB program. Germany, they argued, would suffer a complete loss if the bonds failed. The risk to the German national budget is disproportionate was their main point. 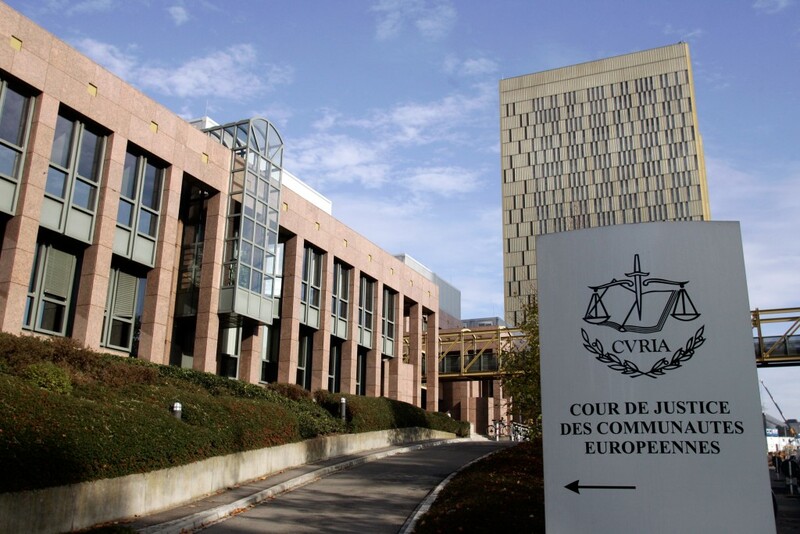 The ECJ has a political mandate which is strangely different from the Supreme Court of Germany or the United States for that matter.The ECJ has a mandate to promote integration within the EU, which is clearly a political element. If we add this political element, that one can see that the ECJ can view the purchase of government bonds as a permissible means of integration. The ECB has clearly altered the bond market destroying liquidity. Banks are rushing to sell their bonds to the ECB in anticipation of rising rates which will cause their bond holdings to decline. Hence, the ECB has actually functioned as a place to dump financial toxic-waste. The Germany Federal Constitutional Court has thus suspended further litigation pending the ECJ ruling. 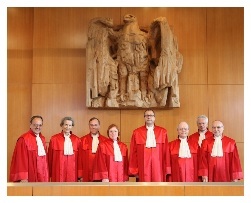 With the decision published today, the Second Senate of the Federal Constitutional Court has suspended the procedure concerning the question whether the Public Sector Purchase Program (PSPP) of the European Central Bank is compatible with the Basic Law for the purchase of public sector securities and asks the Court of Justice of the European Union several questions For a preliminary ruling. According to the Senate, there are important reasons for the fact that the decisions underlying the bond purchase program are in breach of the ban on monetary budgetary financing and go beyond the mandate of the European Central Bank for monetary policy and thus fall within the competence of the Member States. The Senate seeks the implementation of the accelerated procedure in accordance with Article 105 of the Rules of Procedure of the Court of Justice of the European Union, since the nature of the case requires its speedy completion. The PSPP is part of the Expanded Asset Purchase Program (EAPP), a framework program of the European Central Bank (ECB) for the purchase of assets. The PSPP accounts for the largest share of the total volume of the EAPP. On 12 May 2017, the EAPP achieved a total volume of EUR 1 862.1 billion; Of this total, EUR 1,534.8 billion accounted for the PSPP. The complainants, by their constitutional complaints, claim that the European System of Central Banks, with the program for the purchase of securities of the public sector which it has set up, is contrary to the prohibition of monetary government financing (Article 123 TFEU) and the principle of limited individual authorization (Article 5 1 TEU in conjunction with Art. 119, 127 et seq. TFEU). Therefore, the Deutsche Bundesbank should not participate in this program and the German Bundestag and the Federal Government are obliged to take appropriate measures against the program. 2. There are doubts as to whether the PSPP decision is compatible with the ban on monetary budgetary financing. (A) Article 123 (1) TFEU prohibits the ECB and the central banks of the Member States from purchasing debt securities directly from the institutions of the European Union and the Member States. Purchases on the secondary market may not be used to circumvent the objective pursued by Article 123 TFEU. A program dealing with the purchase of government bonds on the secondary market must therefore be provided with sufficient guarantees to ensure effective compliance with the prohibition of monetary government financing. The Senate is of the opinion that the Court of Justice of the European Union considers the terms which it sets out to limit the scope of the OMT program of 6 September 2012 within its scope as a legally binding criterion The purchase of government bonds. (B) The PSPP covers bonds issued by States, state enterprises and other government bodies, as well as by European institutions. These bonds are purchased exclusively on the secondary market. However, for an infringement of the PSPP decision against Article 123 TFEU, it is argued that details of purchases are announced in a manner which could give rise to factual certainty on the markets that the Eurosystem will also purchase issued government bonds, The time limits between issuance of a debt instrument on the primary market and its acquisition on the secondary market is not verifiable, that acquired bonds are held to maturity until now, and that bonds with a negative return are obtained from the outset. 3. The PSPP decision could not be covered by the mandate of the ECB. 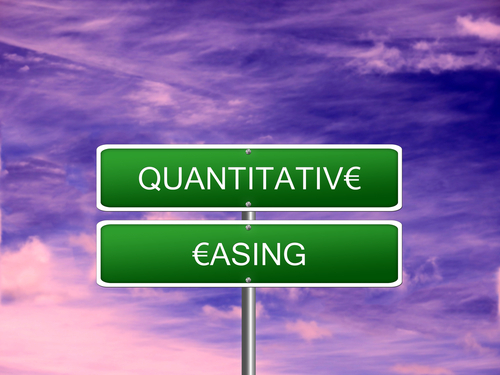 (A) monetary policy should be distinguished, in particular, from the economic policy which is primarily the responsibility of the Member States, in accordance with the wording, system and objective of the Treaties; The objective of a measure to be determined objectively, the means chosen to achieve this objective, and its link with other arrangements. (B) From the Senate’s point of view, the PSPP decision could not be seen as a monetary policy measure, but rather as a predominantly economic policy measure, on the basis of an overall view of the relevant delineation criteria. While the PSPP has a stated monetary policy objective and is committed to the pursuit of this objective of monetary policy, But the economic policy implications arising from the volume of the PSPP and the associated predictability of the purchase of government bonds are already directly reflected in the program itself. This would render the PSPP disproportionate in relation to the underlying monetary policy objective. Moreover, the decisions constituting the basis of the program do not provide a comprehensible explanation which would allow the continuous continuity of the program to be reviewed on an ongoing basis during the several years of implementation of the decisions. 4. On the basis of the risk allocation between the ECB and the Bundesbank, the budgetary right of the German Bundestag, protected by Article 20 (1) and (2) in conjunction with Article 79 (3) of the Basic Law, and its overall budgetary responsibility by the PSPP decision Or its implementation in view of possible losses of the Bundesbank, can not be foreseen at present. (A) An unlimited risk allocation within the Eurosystem and the resulting risks to the national central banks’ profit and loss account would constitute a violation of constitutional identity within the meaning of Article 79 (3) of the Basic Law if it were to recapitalize the national central banks with budgetary resources Which the Senate has committed to the approval of the German Bundestag in its jurisprudence to the EFSF and the ESM. For the success of the constitutional complaints, it is therefore important whether such a risk allocation can be excluded under the primary law. (B) the decision-making by the Governing Council on the nature and extent of the risk-sharing between members of the European System of Central Banks is hardly determined by primary law. This could allow the ECB Council to amend the rules on risk-sharing within the Eurosystem, which could lead to risks to the national central banks’ profit and loss account and, moreover, to the overall budgetary responsibility of the national parliaments. Against this background, the question arises whether an unlimited risk allocation in the event of default of bonds of central governments and equivalent issuers between the national central banks of the Eurosystem against Article 123 and Article 125 TFEU and Article 4 (2) TEU With Article 79 (3) of the Basic Law).